A teenager, who has never held a driving licence, went on a “quite horrific” joyride through a town in his father’s 60-tonne HGV lorry. 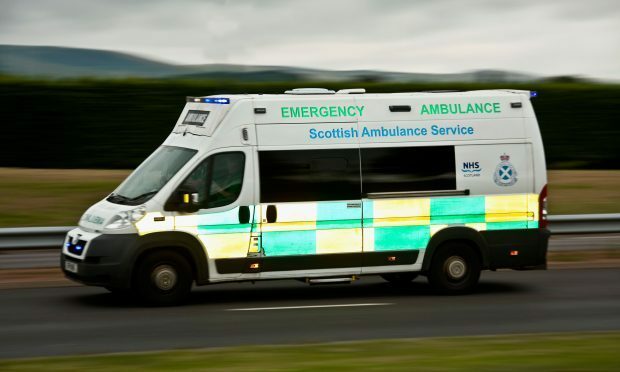 Emergency services have been called to a road accident in north east Fife after a collision involving a car and a lorry. The incident happened at around 11am on Monday on the B937 near Collessie Quarry. It is understood nobody has been seriously injured but an ambulance has been sent to the scene as a precaution. Two fire appliances are currently attending the incident. THIS is the heart-stopping moment an HGV came within INCHES of disaster on an Edinburgh road. The astonishing footage shows the driver swerving at the last minute to dodge a 4×4 near Wilkieston. And the lorry’s side camera shows just how close the vehicles came to smashing into each other. The jaw-dropping moment was captured by quick thinking truck driver Boyd Forrest last month. Incredibly, as the Nissan appears to pull out of the junction along the 50mph road without seeing the lorry or the other car before slamming on the brakes, blocking the lane the lorry is in. At the start of the clip the dash cam vehicle is seen travelling up the hill, approaching the junction at around 38mph. The black Nissan comes into view as it approaches the junction around 100 metres ahead of the fully laden lorry. However, instead of stopping at the crossroad, the 4×4 carries on and pulls out in front of the truck, trying to join the lane travelling in the opposite direction. Incredibly, the Nissan almost collides with another car and is forced to stop directly in front of the HGV. With almost no time to react, Boyd swerves into the junction the Nissan had just pulled out from and barely avoids smashing into the side of it with the side camera of the lorry showing the 4×4 just inches away. Now the video has received hundreds of likes and comments, most condemning the Nissan drivers actions. We told you last week how a car appeared to speed through a red light – narrowly missing another driver. The white car was seen screaming through the intersection in the terrifying dashcam footage while other cars have stopped at the red light.